Andrea is one of our dearest friends. She shares our love of using the best and freshest ingredients in her dishes. The Sugarplumsisters ALWAYS look forward in great anticipation when invited to Andrea’s!!! We know that the food will be delish! She always makes some of the best cocktails around!! 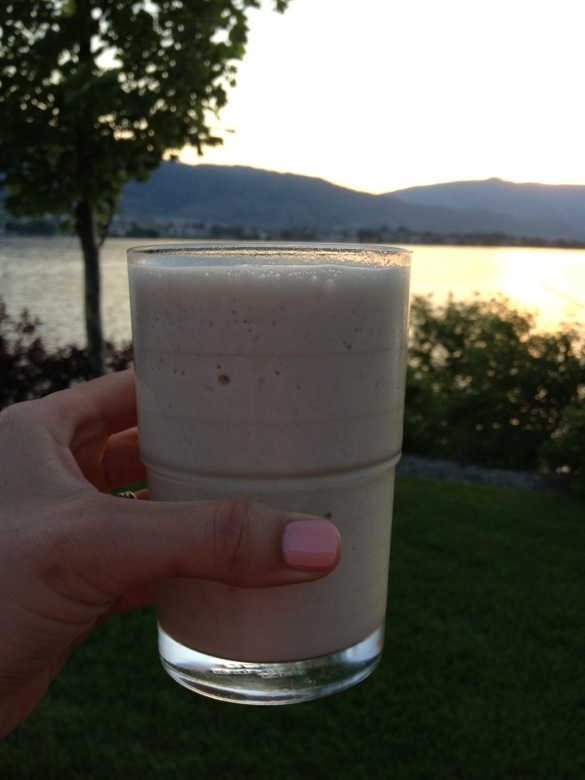 We asked Andrea to share the recipe of one of her fave summer drinks…. 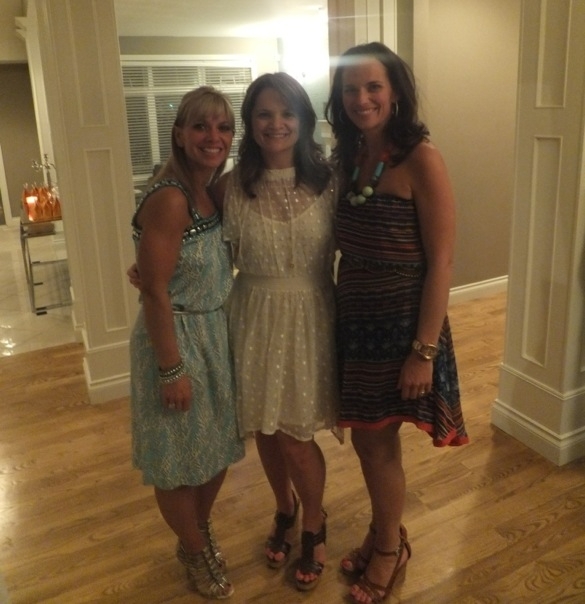 Andrea, our dear friend, with Pam and Laurel on either side! A few years ago a friend introduced me to the BBC at a Jamaican resort (thanks FD). I have been trying to perfect it ever since! When Pam asked me to send her a delicious summer drink recipe I knew it was time to finally get it right. 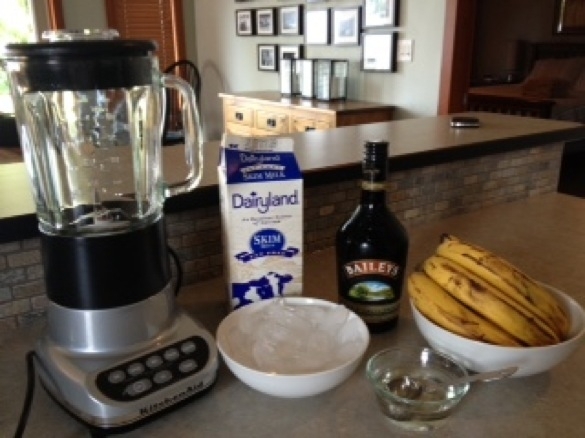 The BBC (stands for Baileys, Banana and Cream) has the consistency of something between a margarita and a milkshake. On a hot summer day it’s a much better way to use those browning banana’s than baking banana bread! It’s creamy and delicious and very refreshing. And it’s milk and bananas, so I like to tell myself that it must be good for me too!! Enjoy!!! Put everything into a blender, mix until ice is blended well and enjoy. If you have a Margaritaville use that. The consistency will be perfect!! Now that’s a perfect summer drink to sip on while watching the sunset!